This is what you would hear at Casa Parlante, the most alive historical museum in Corfu. A 19th century noble mansion comes to life with stories to tell. In the unique architectural setting of a classical mansion in the historic Old town of Corfu, the everyday life of the island’s 19th century nobility is recreated. Through animated figures, using robotic technology, and the perfect reproduction of decor and furnishing. Casa Parlante promises to deliver you a true insight into bygone Corfu. Awakening all your senses, the traditions of the island unfold in front of you, depicting family life in an authentic experience of sights, sounds and smells. 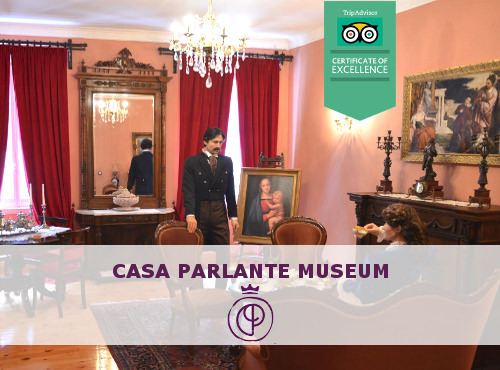 Casa Parlante in a unique museum: it brings history to life and lets the visitor breath it in. Casa Parlante is placed in a time period that is characterized as a historical milestone for Corfu. In the 19th century, the capital of the “United States of the Ionian Islands” becomes the intellectual and cultural center of Greece. At the same time, trade, economy and fine arts flourish. Venetians, French and British conquerors – because of their influences- create a unique cosmopolitan identity for the island and the artistic and cultural traditions bring together important personalities from all over Europe in the historical center of the Old Town of Corfu. 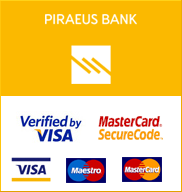 Casa Parlante is in Corfu’s town historical center, a few meters from Liston and Spianada Square.